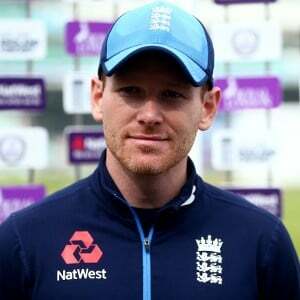 Southampton - England captain Eoin Morgan won the toss and elected to field against the West Indies after a rain delay in the fifth and final one-day international (ODI) at an overcast Southampton on Friday. The tourists are looking to salvage some pride in the last match of their tour after three defeats and one no-result in the series so far. Tom Curran replaced Chris Woakes in the England team while West Indies brought in Kyle Hope and Sunil Ambris for the injured Evin Lewis and captain Jason Holder, who has had to return home for a funeral. "The ground staff and everyone here has done a brilliant job," said Morgan. "Woakes hasn't pulled up that well from The Oval, so Tom Curran makes his debut. It's also a special day for us - we have an opportunity to win 4-0 and we're putting out our best possible team." West Indies stand-in captain Jason Mohammed said: "Jason Holder is a huge loss, he was going well but we have good guys to come in and fill that slot. We don't mind batting first, it looks a good surface so hopefully we can put up a good total. "We have two changes, Kyle Hope is in for Evin Lewis and Sunil Ambris will be making his debut."